Raise your hand if you’re excited for a 3 day weekend! *raises both hands high* Memorial Day is this Monday which means an extra day off work – yes!! It also means that summer is officially kicking off this weekend. I think the warmer temps are finally here to stay! Thanks goodness! Whatever you are up to this weekend, I hope you have a fabulous one! Linking up today with Christina, April, Darci, and Natasha for this week’s Five on Friday! Kevin I decided to take an extra couple of days off next week so we can take a mini-vacation this weekend. It will be a game time decision on Saturday morning where we go, but sometimes that’s the fun thing about being a standby travel passenger (although it can make packing difficult not knowing which climate we may end up in). Kevin works for an airline so we have the wonderful benefit and blessing of being about to travel on standby at a very low cost. 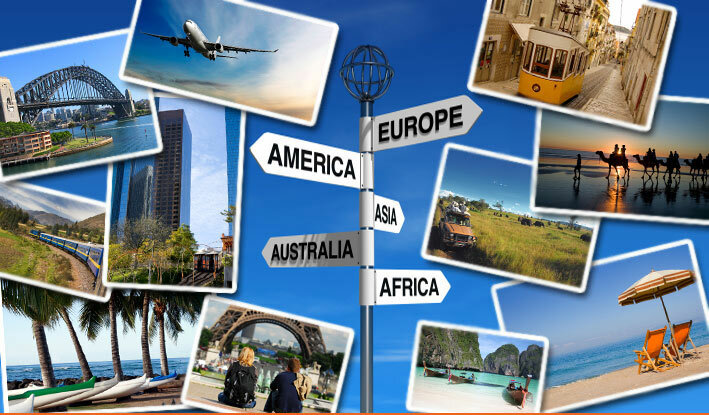 Although it doesn’t always work out, we have been able to see some amazing places just in the past year alone including New Orleans, London, Hawaii, and Germany. We try to take advantage of free weekends and travel as often as possible. This weekend we will be spending 5 days somewhere so stay tuned next week to find out where! Follow me on Instagram if you want to know sooner! Did you all catch the premiere of The Bachelorette on Monday?? I absolutely loved Andi on Juan Pablo’s season (es ok!) so I’m so excited to see her as the bachelorette! So far none of the guys are standing out too much to me, but I like Chris and Nick V. (winner of the 1st impression rose). Who are some of your favorites? Last week, Elise, over at Cheers Y’all posted some different scripture that is meaningful to her. She mentioned a Christian bookstore she went to having a different “life verse” for every birthday. I was intrigued so I decided to look this up online and found the website Birth Verse. You input your birthday and it gives you the scripture for that day. I literally laughed out loud when I read mine because it is a verse I have been thinking about a lot lately and one that I have been trying to remind myself of (funny how God works). 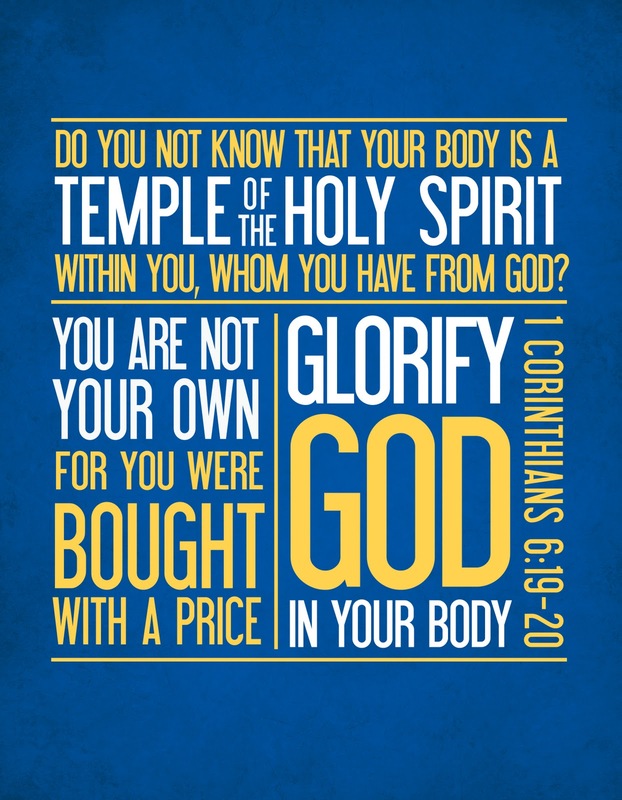 For June 19, the scripture is 1 Corinthians 6:19 which says “Do you now know that your body is a temple of the Holy Spirit, who is in you, whom you have received from God? You are not your own.” In an attempt to try and eat healthier, exercise more, and generally adapt to a healthier lifestyle, this verse has been coming to mind a lot. I love that this is my “life verse”! I am on a serious iced tea kick right now! I used to hate tea growing up. Kevin is a huge tea drinker and always has a pitcher made in the refrigerator at home. I recently decided to give it a try and now am obsessed! I seriously can’t get enough! 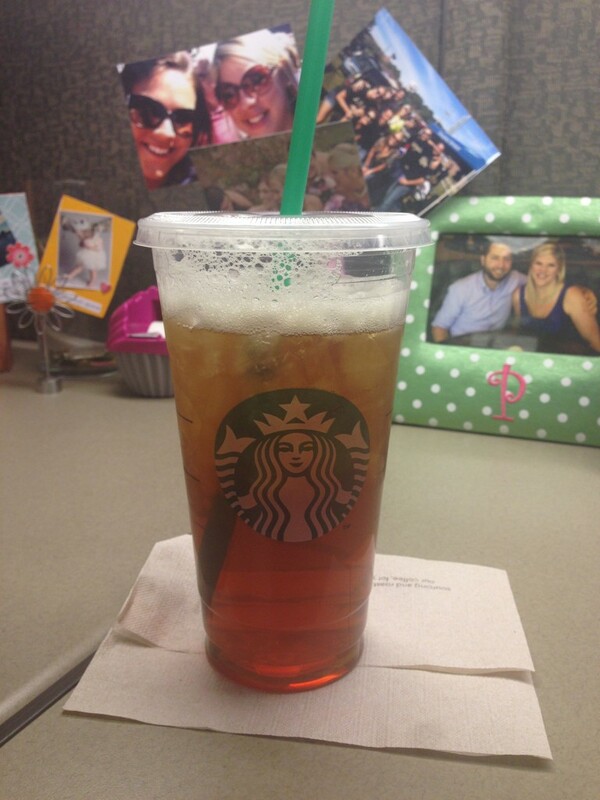 Venti Iced Unsweetened Black Tea has been my go to at Starbucks lately – so refreshing! Lately I’ve been loving the lighter, fresher tastes of summer foods – especially strawberries! We’ve been going through two containers of them each week easily! Last night I made a twist on a traditional caprese salad by swapping tomatoes for cucumbers strawberries. The flavors were so good! 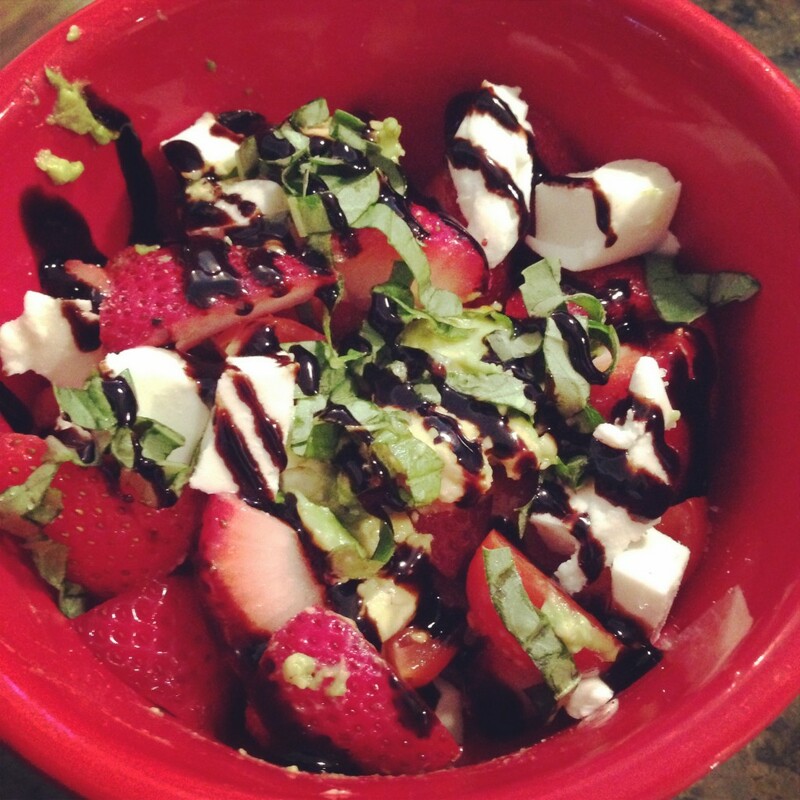 Just combine strawberries, fresh mozzarella, fresh basil and drizzle with balsamic glaze. Simple as that! I even added some avocado for good measure. Perfectly delicious summer salad! That wraps up today’s Five on Friday! Hope you all have a wonderful Memorial Day weekend! Cheers! Also linking up with Lauren today. I love balsamic vinegar with strawberries! I had it once at William Sonoma on some ice cream with a strawberry. I’d never thought of that combo and it is SO tasty. BTW…did you think Andi seemed a little fake? I kinda felt that way. I’m still crossing my fingers that this will be a good season! Yes, I agree she seemed fake! My friend and I were just discussing that this week. I’m hoping the season is a good one and she gets better! We’ll see! Have a great weekend! Stopping by from the linkup…have a lovely weekend! cant wait to see where you visited! NOLA is such a fun city 🙂 also that last pic looks SO good! i love caprese salads! xo jillian – cornflake dreams stop by! I’m hosting a tasty giveaway. Loved NOLA! Although we went in the middle of June so it was so hot!! We ended up in Maui this weekend which was incredible! Thanks for stopping by! So beautiful, and frequently the gifts I ask for. Thank you so much for sharing this! Katie! So good to hear from you on here! Thanks for following along! Love your birthday verse – such a good one! Hope to see you guys soon!